Most of the time, individuals don’t think about going shopping or to the supermarket as a danger to anything but their bank accounts. Unfortunately, accidents do happen in retail establishments more often than many people realize and when they do, the impacts may be lifelong. When an individual is involved in an accident in a store, they may be suffering from serious injuries, lost wages due to time out of work, and high medical bills. At this point, it may be beneficial for the injured party to consider bringing a personal injury lawsuit against the store. The most important part of any personal injury lawsuit is that the injured party will be required to prove that the store was negligent and that this negligence caused them to become injured. 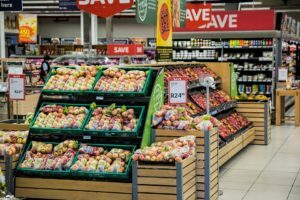 When an individual is injured in a retail establishment, it is important that they inform the store management of the accident. In addition, it is important that they try to take photos or videos of the conditions that caused them to become injured. This can make all the difference in an injury case when it comes time to fulfill the burden of proof. If you have been injured in a retail store accident, contact our firm today.